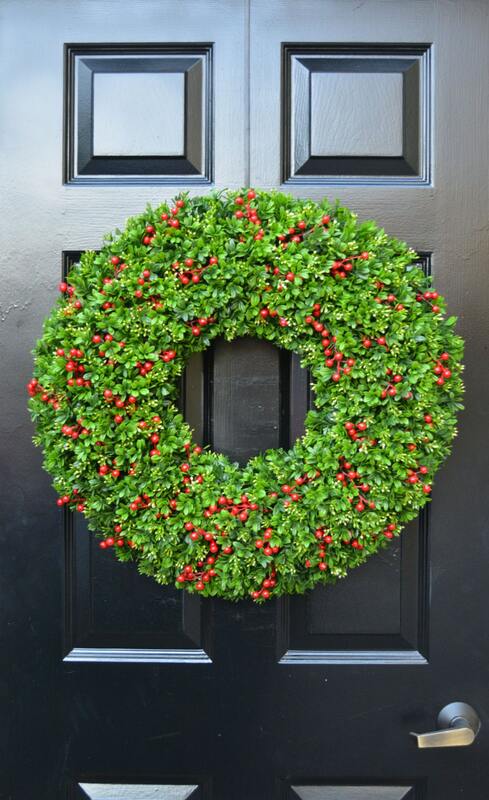 This stunning traditional Christmas wreath will add a elegant touch to your décor. 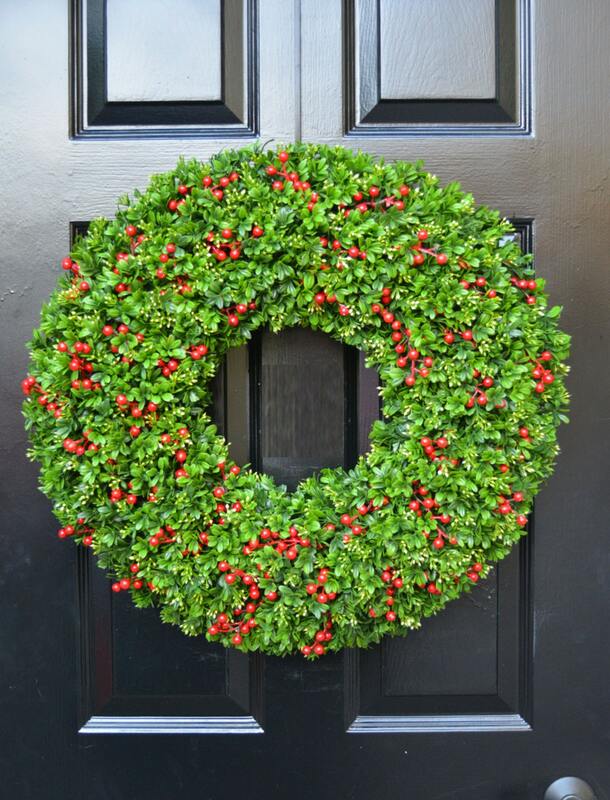 My artificial boxwood wreaths are hand made to order and are lush and full of a plethora of artificial realistic boxwood material. The material is made for outdoor use and can get wet. Available in sizes 16-26 inches in diameter and 5 inches deep. 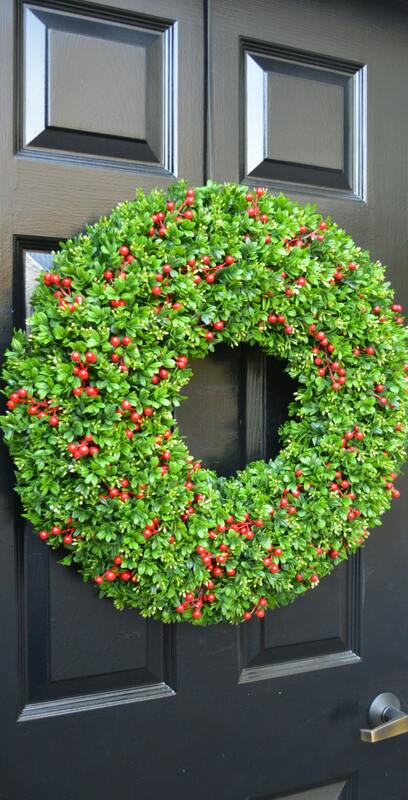 Red artificial WEATHERPROOF berries have been added throughout the wreath creating a stunning wreath that can be displayed the entire winter. Add a bow to this wreath to complete the look (add these listings to your cart in addition to the wreath). A 24 inch wreath is shown. Diameter is measured from tip to tip of the edge of the wreath across the middle. We recommend that you measure your space to determine the correct size before ordering. You can remove this bow and use the wreath year round or add another bow later. 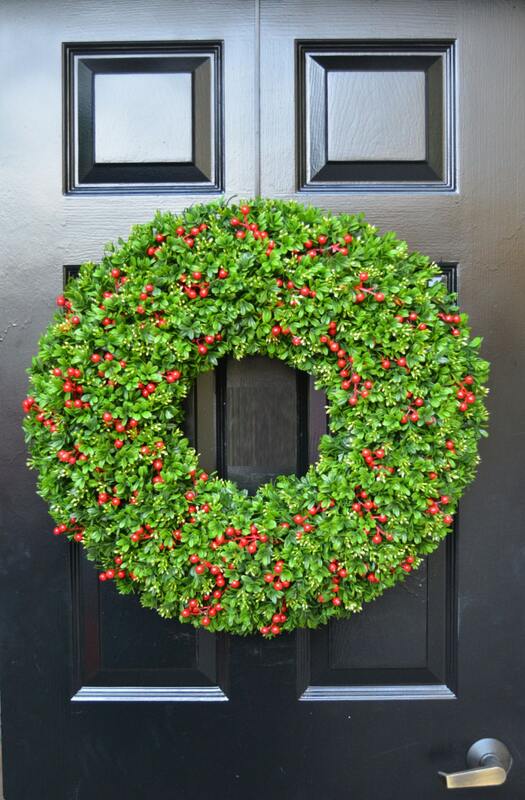 Gorgeous wreath - can be left outside through January or February too! Very well made and looks great on the front door. Nicely packed and excellent service! This is much much prettier in person! I have a tulip wreath that I have loved for the last 2 years (and it is stunning even after 2 years on my front door) but this wreath is even prettier - Love it!! I will be buying some more for gifts! 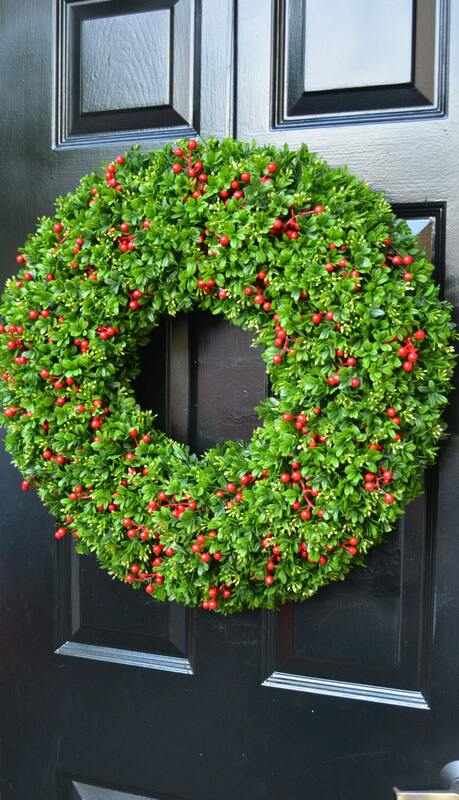 Great product - I ordered a boxwood wreath with berries and customized boxwood garland with berries - both look even better than in the picture! It was carefully packed and was delivered on time. I would recommend Shannon and ElegantHolidays for anyone looking for a high quality product and great service!